This is Lexi :) she is the family dog/obedience dog. 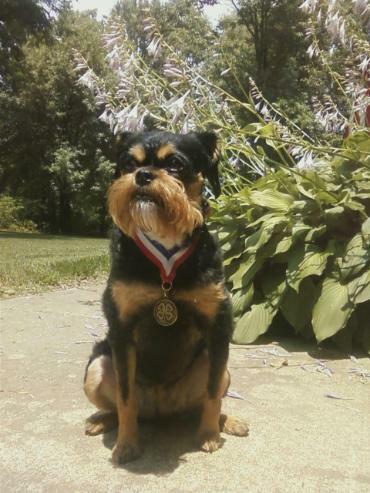 Lexi and I compete in obedience and senior showmanship for 4-H.
She's our designer dog: Brussels Griffon x Toy Poodle mix. For 2012 Clermont County Senior Showmanship I placed second with Lexi! Lexi and I won the Pre-Novice obedience class at the 2012 Clermont County Fair! !